I came across the idea for this recipe whilst reading a book on the origins (and myths) of poplar words and phrases. The phrase “The Bee’s Knees” originated during Prohibition – it’s use is first recorded in a flappers dictionary in the Appleton Post-Crescent of Appleton, Missouri on 28th April 1922 and it was defined and meaning ‘peachy, very nice’ – well that gave me the foundations for my twist. The cocktail of the same name is known to have emerged during Prohibition too – it was obviously named for the new phrase and compared to a lot of the rough drinks being bandied around at the time, probably did taste like the Bee’s Knees, or indeed the Cat’s Pyjamas or yes, the clam’s garter. 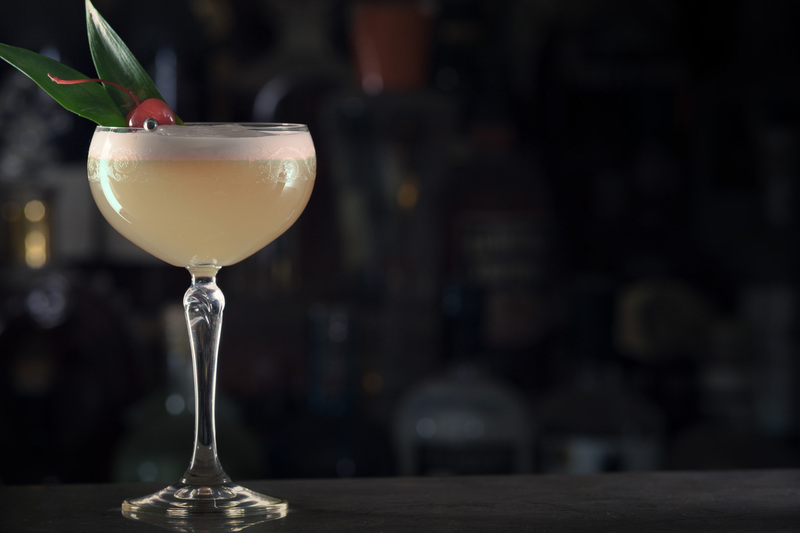 This is the recipe that Ted Haigh pick up in his Vintage Cocktails and Spirits but at some point it has been given a name – The Bebbo Cocktail. I guess no-one is a fan of the original Bee’s Knees then?! Don’t you believe it – the rise of the throwback to Prohibition-era drinks and the increasing use of honey as an ingredient has seen the Bee’s Knees actually become quite a common drink albeit in the Gin Sour ratio that Embury recommends. The use of different honeys and other herbs as modifiers (try using clover honey and a pinch of fresh thyme!) has created delicious variations found on drinks lists all around the world. *Whenever you use honey in a drink, when you put it in the shaker, once you’ve added all the liquid ingredients, give it a stir until it has fully dissolved before adding ice and shaking otherwise it won’t become a part of the drink. Better still, you can dissolve the honey in hot water first and add it to the drink already in liquid form. For the first, even though the reality is a figure close to infinity, people tend to be super-impressed when I shrug and casually suggest a thousand. This question is most often asked by people who don’t have a full working knowledge of cocktails. The second is much more difficult to answer. I mean, if I were to be completely honest, it would be the Martini, it is one of the icons of cocktail history and I have one tattooed on my arm. No other drink has inspired, created, or ended, so many discussions, fights, relationships, paintings, writings or images as this sleek, subtle concoction but to be honest, they are not the most exciting of drinks and in most circumstances, people are trying to find out which of my own creations I rate the highest. This is also quite difficult because I have several award-winning cocktails of which I’m immensely proud, especially Ariadnes Boudoir and French Rock n Roll which use very challenging ingredients as their base and never fail to surprise the people who claim to hate those spirits. I created the (or as I should refer to it, MY) Serendipity whilst I was tending bar at Sugar Lounge in Manchester in 2001. A group of managers from the UCI Cinema at the Printworks had taken to coming in during the late afternoon, one of whom I knew from my childhood village (Thorngumbald in the East Riding of Yorkshire if you’re interested) when asked for something ‘off piste‘, I threw together a combination of flavours I thought worked well together and was quite pleased with the finished result as were they – several were ordered and consumed, not only by the cinema staff but also by other customers who had entered the bar and had been persuaded to try it by Alison and her friends. I decided to call it Serendipity because it was, at the time, my favourite word. I had been exposed to it through a character in the Aussie soap Neighbours affectionately called ‘Dippy’ but whose real name was Serendipity. There had also more recently been a film of the same name released (which I’ve never seen incidentally) and it was because of this link, I thought the UCI girls would like it and they did. Over the next few weeks, we would get people coming into the bar asking for a Serendipity much to the chagrin of Beau who had been on shift with me that afternoon and had to ask me for the spec so he could make them himself. It was at that point I realised I had a ‘signature’ drink. I put the Serendipity on the list of subsequent bars I opened, Cosmopolitan Spirit, Harvey Nichols and Obsidian where they were the biggest-selling cocktails without a doubt. In the wake of it’s reception at Sugar Lounge, I decided to use the Serendipity in the finals of the CLASS Magazine competition. Over the course of a year, Maxxium sponsored a competition which involved monthly heats which involved sending in a recipe containing that month’s featured product. The winners of each heat were invited to London for the grand final at 57 Jermyn St. In the final, you had to present the drink that you used in your winning heat plus another cocktail of your choice using brands from the Maxxium portfolio. 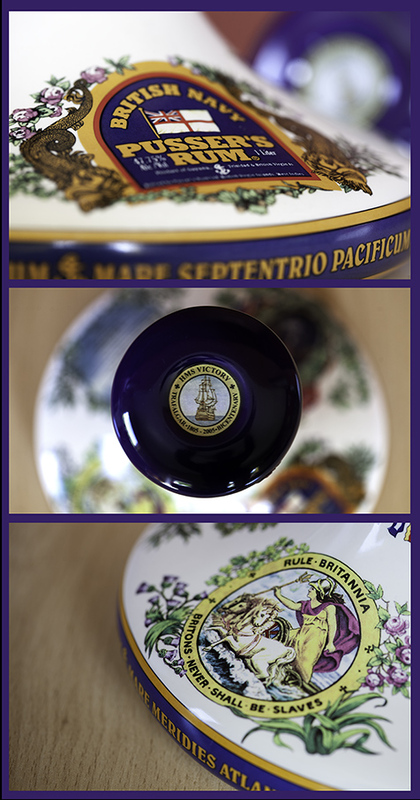 It was indeed serendipitous that my Serendipity could be made using their products. I’d made my mark and will always have a special place in my heart as a result. I won a fortnight in Barbados for winning the comp and kickstarted a run of big competition wins. Though it may not be the BEST drink I’ve ever created, it’s still damned good for what it is, especially in an era of lower alcoholic requirements. I will never get tired of pulling this one out of the bag. Serendipity has evolved over different venues and cocktail lists due to the fact that it shared many similar ingredients to the Slow Walk in the Woods that I had created for the Beefeater International Bartenders Competition. On a fairly small list, I didn’t think there was room for two cocktails using Sloe Gin as a base so I switched the Serendipity to Raspberry Vodka as the Stoli Razberi at the time was really nice and fairly innovative as far as flavoured vodkas went. This decision was further justified when I opened Obsidian and was able to use Citadelle Raspberry. Nowadays it can be with either the Vodka or Sloe Gin but currently I’m leaning towards the Ginny version given the time of year. Obviously, as it was a Maxxium competition, it was originally made with Plymouth Sloe Gin which is very good and would still be the perfect choice were the Sipsmith Sloe not better suited. I think the fruit flavours are much more pronounced and there is a bit more of a spirity ‘bite’ which give more depth to the finished drink. So that’s it, the story of the Serendipity. Ah well, it isn’t quite is it? Of course in the days before Google and when C.L.A.S.S. Was the ultimate resource for style bars around the world, there only appeared to be one Serendipity but of course we know now that another one predates mine. The only thing they have in common is the name – the two drinks are nothing close to similar but a Serendipity at the Hemingway bar is an experience in itself and Colin is a most genial host, his presence is comforting and welcoming very much like when you’re in the presence of Maestro Calabrese. So there we go, the final word on the subject. In a shaker, give the blackberries a quick muddle in the syrup, add the other ingredients and shake very well. I was recently working at Imbibe, the drinks industry trade show at Olympia. As well as being able to promote my own brand, I was able to take advantage of the valuable networking opportunities it presented. There were so many people there, lots of whom I hadn’t seen for years and it was nice to see how many of the ‘old’ faces are still actively involved in the industry. It was on one of the stands where I came across a couple of familiar faces and I was introduced to this divine liqueur. Haycocks has been devised according to old Gin recipes which were never meant to be drunk mixed with anything – just neat as a medicine. In this case the Juniper as been taken out (thus removing itself firmly away from the Gin camp) instead focusing on the Coriander seed. Coriander seed is probably the second most important botanical in any Gin recipe – it is that which provides many of the citrus and spice flavours depending on the origin of the seed and is one of the ‘amalgamating’ spices which make all the combined flavours work together and harmonise. I first tried it in a London Mule which obviously has the liqueur as a base and is topped with ginger beer and fresh lime. It was the perfect drink for a hot day stuck inside what is effectively a large greenhouse. 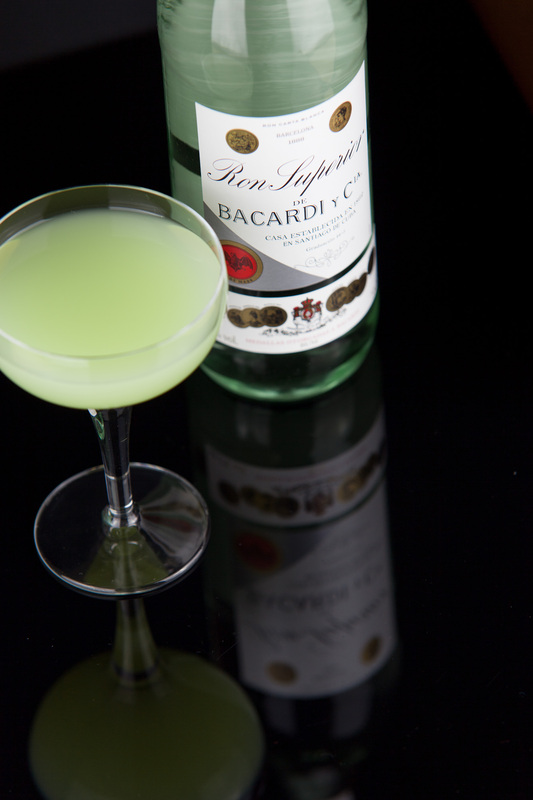 Their other serves are variations of other classic cocktails and demonstrates it’s versatility perfectly. Their website is pretty sleek too with gorgeous imagery from Karin Taylor (http://www.karintaylor.co.uk/) pure drinkporn which ticks all my boxes! I’ve got a bottle now at the bar at Iscoyd Park and I’m looking forward to getting it into some of my creations henceforth. This memorandum from the Admiralty board of the Royal Navy sounded the death knell of the daily rum ration to the ratings. Introduced in 1655 after the previous ration of beer proved unsupportable on long voyages, the sailors on board were initially provided with half a pint of rum per day (at gunpowder proof too – see https://thecocktail.guru/2015/04/15/measurement-of-alcohol/ for details) until 1740 when it became watered down and split into two servings per day. The man responsible for this was Admiral Edward Vernon who’s nickname ‘Old Grog‘ came from the grogram cloak he always wore. He was so concerned about the level of drunkenness throughout the ship’s crews that at Port Royal in August 1740 he issued an order from the HMS Burford to tackle ‘the pernicious custom of the seamen drinking their allowance in drams and often all at once, which is attended to many fatal effects to their morale as wells to their health”. Vernon had a very distinguished career in the Royal Navy, in November 1739, he captured the (now Panamanian) colony Porto Bello from the Spanish which was hailed back in Britain as huge coup. The Portobello Road in London was named for this victory as well as an area of Dublin and another in Edinburgh, and Rule Britannia was composed as part of the victory celebrations. The engagement at Porto Bello was part of the ‘War of Jenkins’s Ear‘. In 1731, a Captain called Robert Jenkins was carrying sugar from Jamaica to London in his ship Rebecca when he was boarded by the Spanish who accused him of carrying contraband. They tied him to the rigging and tried to get him to admit he was carrying treasure and when he didn’t, they cut off his ear and told him to take it back to King George. In 1738, when a parliament committee were investigating disputed with Spain, Jenkins presented his ear which had been preserved in a jar of rum. This stirred up such an angry feeling that the PM Robert Walpole declared war on Spain and her ally France. In 1810, the exact blend of the rums used for the daily ration were codified by the Admiralty and the same blend was used right until the very end of its issuance in 1970 even though the amount had been subjected to repeated savaging, firstly in 1823 when it was halved and again in 1850 when it was halved again. By the time Black Tot Day came around on July 31st, it was a ceremonial amount of 59ml diluted with 188ml of water. Following the final up spirits between 11 and 12 on that mournful day, Charles Tobias managed to persuade the Admiralty to sell him the rights to commercialise the rum blend which had been used and in 1979, launched Pusser’s Rum. Tobias was a frequenter of the Soggy Dollar Bar in Jost Von Dyke, BVI and a friend of the owner Daphne Henderson. The six-seater bar famously didn’t have a dock so visitors had to swim ashore in order to buy drinks with their soggy dollars. Henderson’s speciality was a drink called the Painkiller, the recipe to which she kept a carefully guarded secret. Charles Tobias worked very hard to emulate her recipe and, in using his own rum, not only came very close to the original but perhaps made it a little better. According to the brand, patrons of the bar were given samples of both Henderson’s and Tobias’s versions and the crowd overwhelmingly voted for the recipe with Pusser’s. I start all my Tequila training sessions with this joke and it still makes me smile after all this time. Today is World Tequila Day and I thought I’d pay a quick homage to this very misunderstood spirit. Tequila became a delimited area in 1974 – at this time, The Declaration of Protection of the Appellation of Origin Tequila was published in the Official Federal Journal effectively making Tequila Mexico’s National Spirit and this became internationally recognised in 1977 when an international “denomination of origin” classification was granted and Tequila became a part of the global supermarket. Back in the 1970’s and indeed right up to the 90’s, Tequila wasn’t much of a player on the World’s stage. Outside of Mexico, Southern California and Texas, it’s use was largely themed restaurants and party bars. It’s annual sales weren’t much to write home about. Then two completely unforeseen things happened. Firstly, with a rekindled interest in cocktails and the rise of the ‘Style Bar’, Tequila sales started to gain traction just as an infestation started to attack the Agave plants from which Tequila must be made. Although there are over 130 species of agave, only the Agave Tequiliana Weber Azul can be used to make Tequila and it takes around 8 years to reach maturation and be ready for harvesting. The agaveros suddenly found themselves in deficit as they were harvesting the plants and there were none ripe enough to replace them – we entered the agave crisis. In 2000, when the crisis started to really hit hard, the price of agave had raised tenfold in only 6 months with a ton of agave piñas being worth $1400 pushing prices per finished bottle from an average of $12 to $17. Fearing that the same could happen to Tequila as happened to France’s wine and brandy industry following the phylloxera infestation. The industry started evolving to make their agave stocks more efficient. Most major producers stopped producing ‘plata’ or silver styles of Tequila and instead invested their stock in maturation. By ‘resting’ the spirit for 60 days or longer, they could change category to a more premium one which would command a better price. The knock-on effect of this is that we really started to see how fantastic agave spirit can be once the effects of oak take hold and Tequila slowly started to change from being exclusively for shots and margaritas to a connoisseur’s sipping spirit too. Now the producers are back on track with managing their crops and global consumption is still in the ascendency we are being treated to better and better Tequilas as we are seeing more innovation and the envelope is continually being pushed. Porfidio was created by a young Austrian called Martin Grassl who moved to Mexico and ended up founding the brand. His way of doing things may have rubbed some people up the wrong way and has, over the past decade had kidnap threats made against his family, been arrested, and been accused of not conforming to the rules of Tequila production. Indeed at one point he had his NOM rescinded (the certification number to prove he is producing legitimate Tequila) but fought to have it restored and now claims not to use if for the export market because his spirit is “better than Tequila” Whatever he has gone through in the past, if a NOM has been assigned and Porfidio is a genuine Tequila, it remains one of the best spirits I’ve tasted and I love both the plata and varieties. Excellia Tequila is the pinnacle of collaboration and sees the coming together of the expertise of two master craftsmen – Jean-Sébastien Robicquet, the creator of G’vine Gin and Cîroc vodka and Carlos Camarena of Tapatio Tequila. 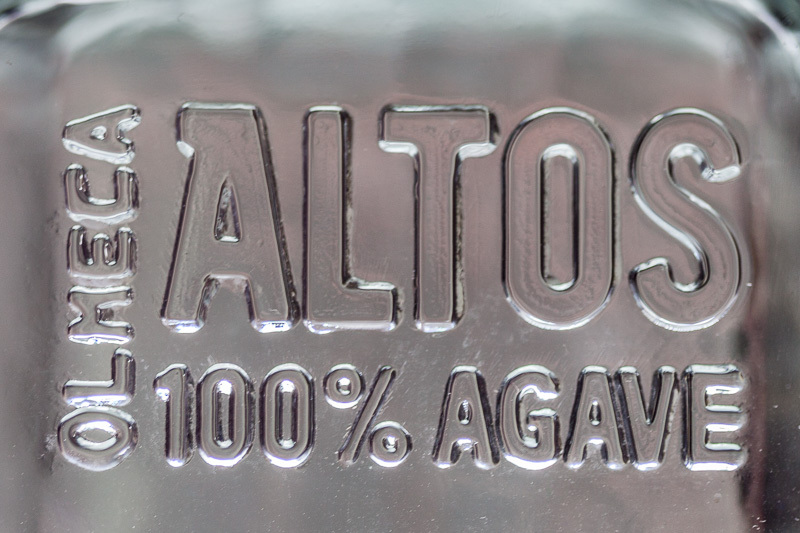 Agave from the Los Altos area of Tequila is fermented and distilled using traditional methods before being aged for nine months in ex-Sauternes and Cognac barrels. 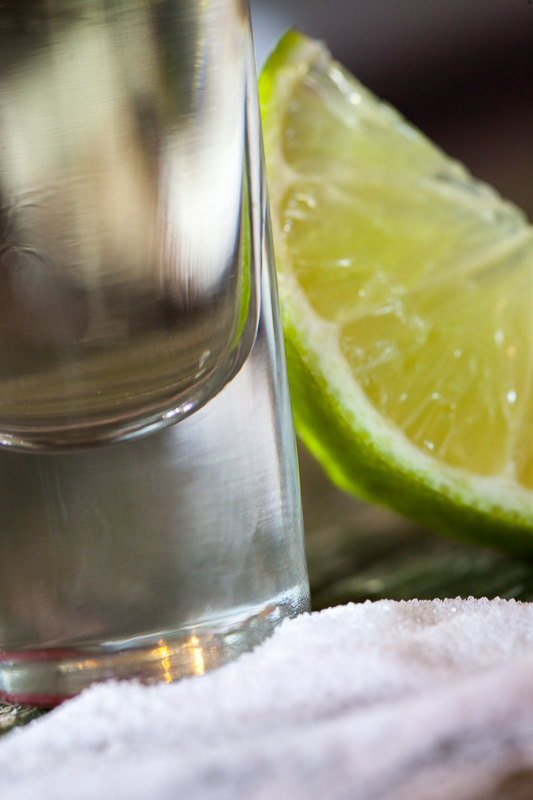 The result is a unique experience in Tequila which is as enjoyable to sip over ice as it is in cocktails. Olmeca Altos is probably my go-to and definitely my favourite blanco. This spirit is the true taste of Tequila and used traditional method to ensure that the finished product brings out the best of the agave flavours. This is definitely one of my favourite products to use in cocktails. Finally I have to give a special mention to the Kah range of Tequilas just because their bottles are magnificent. The liquids inside are still great but have definitely been created for the next breed of Patròn drinkers. I don’t care – I’ll collect the whole range. This one was produced as a limited edition batch in 2012 to celebrate the ‘end of days’ as predicted by the Mayans. Fortunately it didn’t happen and I’ll be able to enjoy the contents of this bottle for some time to come. Being such a simple drink using common ingredients, it’s no wonder that the drink we know as the Daiquirí has an older sibling. 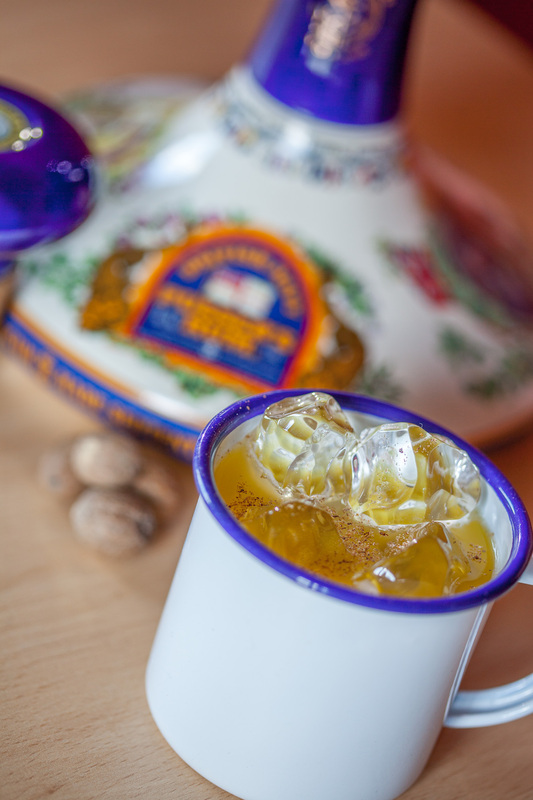 A drink called the Canchánchara was present during the Cuban’s first attempt to overthrow the Spanish in the 1860s. The Mambises would have flasks of Rum. lime juice and molasses strapped to their saddles for fortification during their skirmishes. Cox introduced the Daiquirí to Admiral Lucius W. Johnson who took it back to Washington DC in 1909 where it became a popular drink at the Army & Navy Club. In post-revolution Cuba the Daiquirí became a fashionable drink and was popular at the Venus Hotel in Santiago and also at the Plaza Hotel in Havana but it really took off at La Floridita where Constantino Ribalaigua Vert, who took over the venue in 1918, introduced no fewer than five new versions of the cocktail. 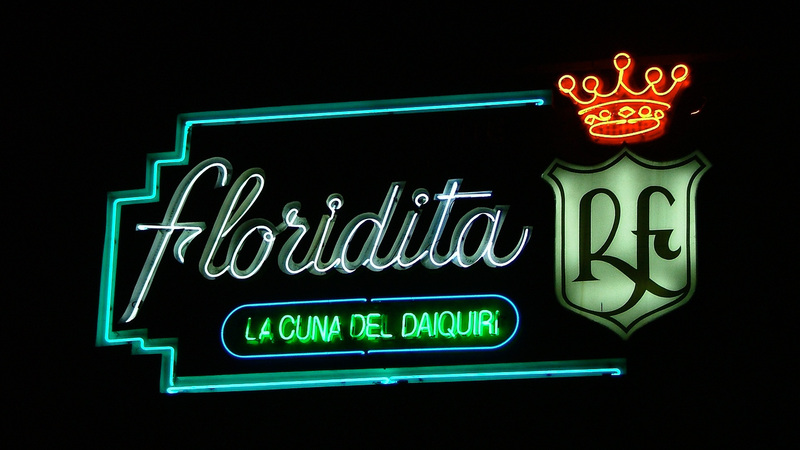 La Floridita became known as La Cuna del Daiquirí – the cradle of the Daiquirí and Ernest Hemingway had his own place at the bar where he would, at 11 o’clock each day, imbibe a couple before going about his business. Hemingway was convinced he had diabetes and asked for a special version to be made which had more rum and no sugar. Constantino obliged and this became known as the ‘Daiquirí Como Papa’. At a later date, Antonio Meilan added grapefruit juice and maraschino and it was renamed the Hemingway Special or ‘Papa Doble’. 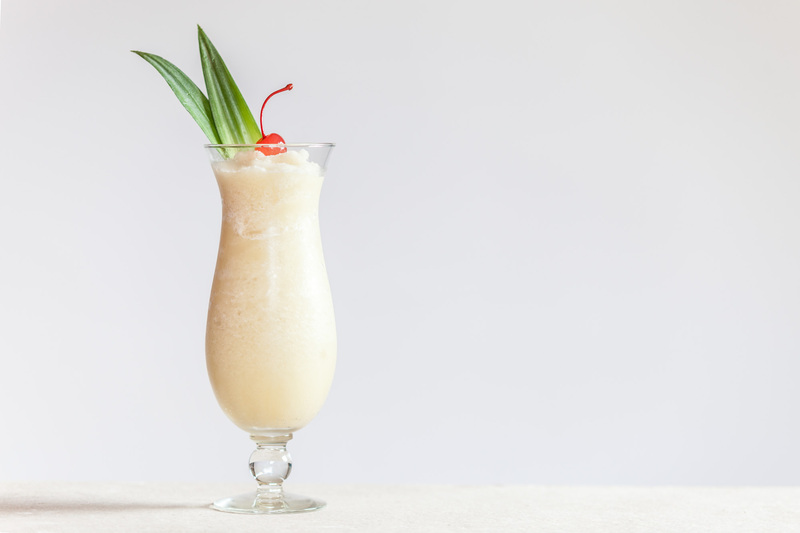 The secret to making a good Daiquirí is to preserve the balance between spirit, acidity and sweetness. One really shouldn’t get too hung up about the rum or bleat on too much about ‘original’ or ‘authentic’. Certainly it should be made with a young, light molasses-based spirit in my opinion. Neither the Havana Club rum of today nor the Bacardi Carta Blanca are close to the original rum used by Cox but both are perfectly acceptable in the modern era. The Bacardi 1909 heritage bottling at 44.5% ABV is about the closest you can get and it really does make the difference in this drink. Muddle the pineapple and chilli in the bottom of a cocktail shaker, add the other ingredients and shake very well. Fine strain into a chilled coupette and garnish with a slice of pineapple and chilli. The chilli should just provide a gentle warmth to the drink and not be fiery. I wonder how many blog/social media posts are going to quote Rupert Holmes’ song today? Apparently though, when he wrote the song, Holmes hadn’t actually tried a Piña Colada he was going to sing ‘If you like Humphrey Bogart’ but thought he’d used too many film references already. Today is Piña Colada day in Puerto Rico. 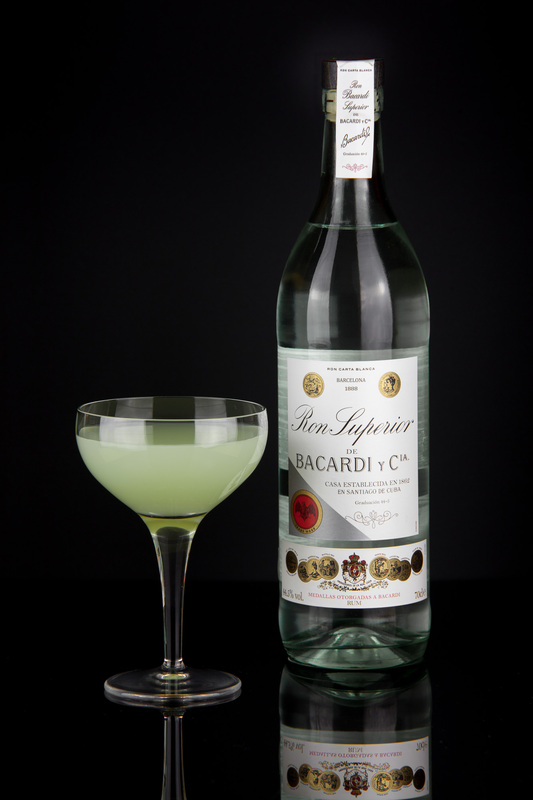 It celebrates the fact that in 1978, the cocktail was made their National Drink. Like all classic cocktails, there are a couple of contested originators of the drink but at least, in this case, they are from the same town – San Juan. 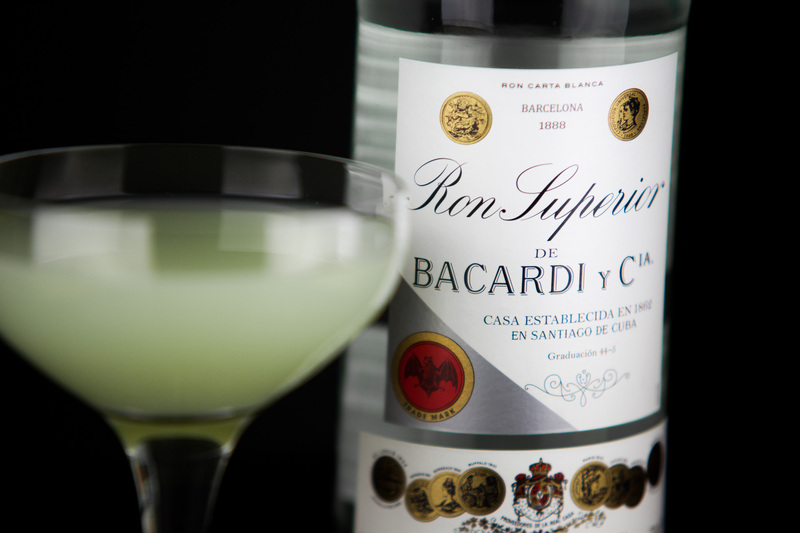 The most likely birthplace is the Caribe Hilton Hotel’s Beachcomber Bar and first-hand accounts name Ramón “Monchito” Marrero Pérez as the bartender who put everything in place though all the bartenders were very passionate about promoting ‘their’ drink. Monchito is said to have spent 3 months perfecting the drink and presented it on August 15th 1954 having captured “the sunny, tropical flavor of Puerto Rico in a glass”. 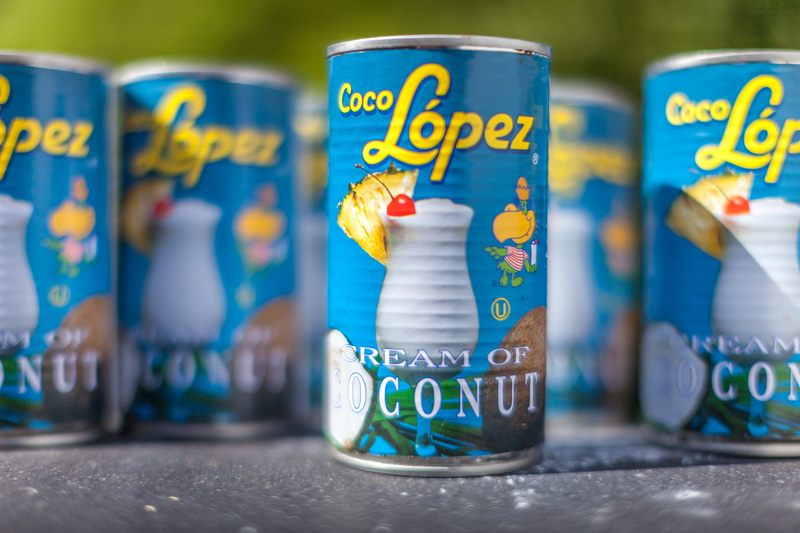 Coco López was founded in San Juan in 1954 by Don Ramón López-Irizarry and it has been claimed that during the infancy of the company, Irizarry would spend time at the Caribe Hilton getting the bartenders to experiment with his product. 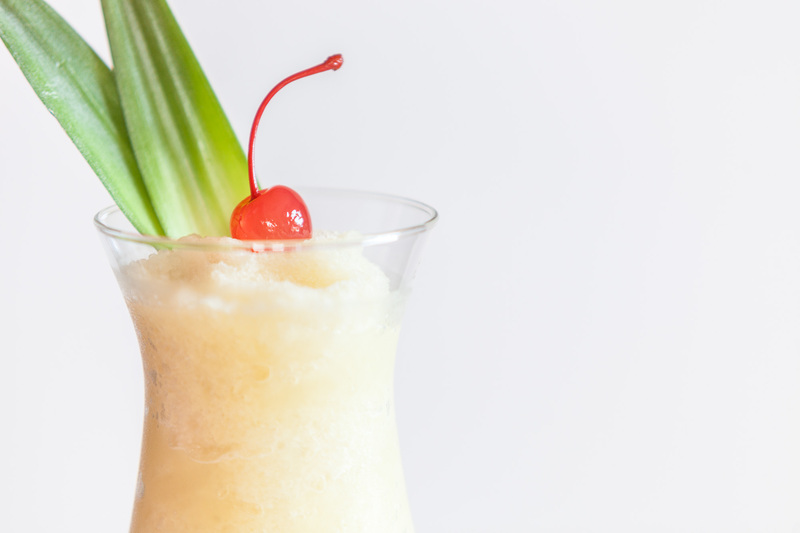 Initially the majority of the Piña Coladas made at the Caribe Hilton were shaken but Monchito preferred them blended and two nights per week, Coco López sponsored a singer in the hotel and the bartenders made sample Pina Coladas to hand out to the guests but their blenders kept breaking so Coco Lopez bought commercial blenders and loaned them to the hotel. The drink has definitely been added to and refined since then and nowadays at the Caribe Hilton, they even add cream to the drink which certainly wasn’t in the original recipe. I think it’s fair to say that there are many variations on the theme and adding banana or strawberry flavours to the drink work well too. My own hint for success is a pinch of salt in the drink – it really brings out all the flavours of the drink . Just a tiny pinch, not enough to make the mix salty and you will have a drink that zings. Blend all ingredients until smooth and garnish with pineapple and a cherry. Practicing my #pourfection. Catch me for the next five nights at the @thekingofsoho Runway pop-up.